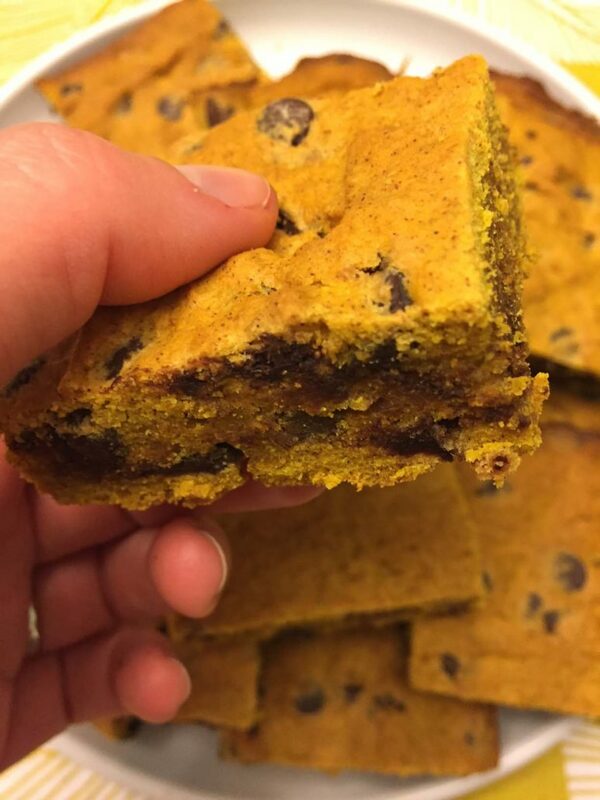 These amazing pumpkin bars are bursting with melted chocolate chips that are begging to be eaten immediately! Pumpkin and chocolate is the ultimate comfort fall combo! 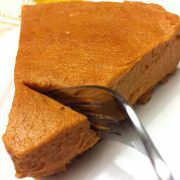 Are you looking for a pumpkin dessert? 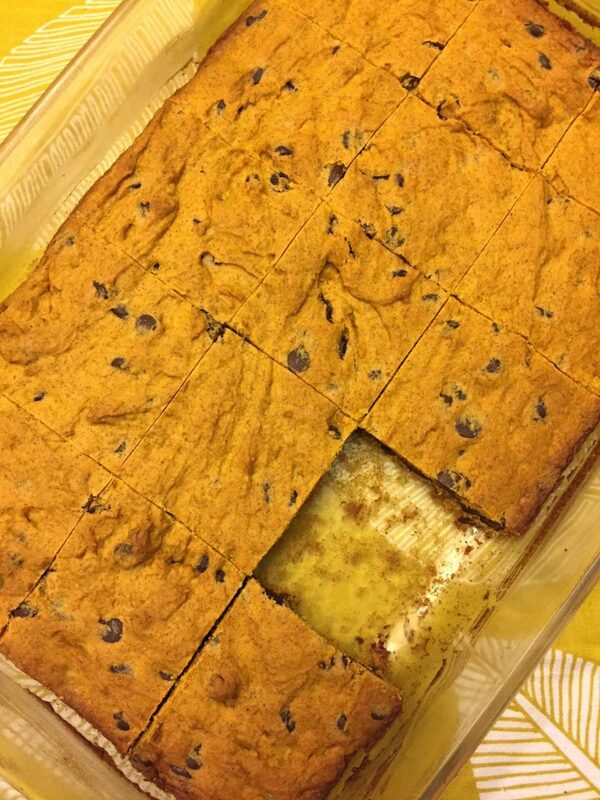 These mouthwatering chocolate chip pumpkin bars are the easiest pumpkin dessert ever! Gorgeous orangish-brown in color with chocolate chips throughout – let the pumpkin season begin by making these epic pumpkin squares! Need a pumpkin dessert for Halloween? 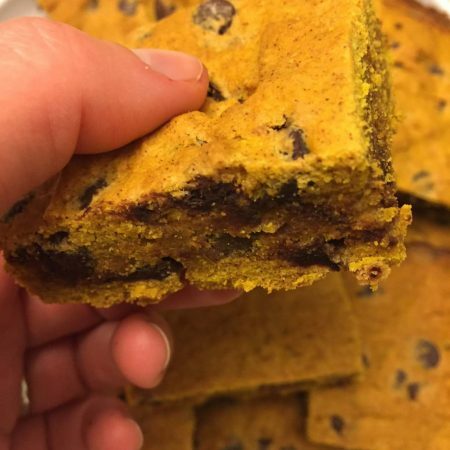 Make these chocolate chip pumpkin bars! 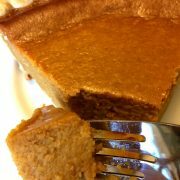 Need a pumpkin dessert for Thanksgiving? Make them again and again! Need a pumpkin dessert any time of the year? I could always use this pumpkin awesomeness! And while you are at it, check out my pumpkin muffins and pumpkin cheesecake! These pumpkin bars are so easy to make, even the absolutely beginner can make them for sure! 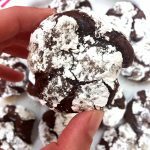 All you need to do is dump the ingredients in a bowl, mix with a mixer, pour in a baking dish and bake! 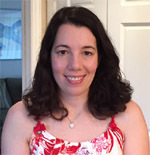 I love one-bowl recipes – the less stuff to wash, the better! 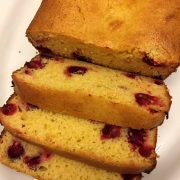 And if you don’t have a mixer, you can mix stuff with a fork, it will work well too! Once the pumpkin mixture is baked, just cut into squares. 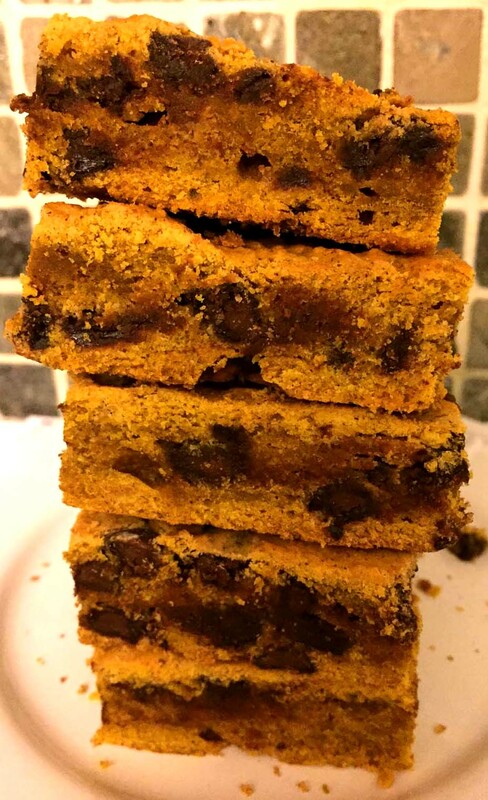 Enjoy these delicious pumpkin bars – I’m sure you’ll love them as much as I do! 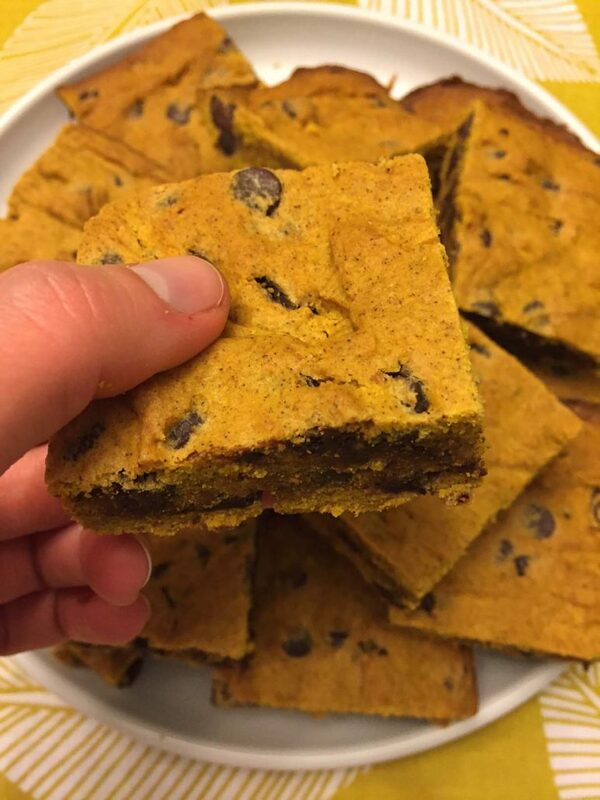 These chocolate chip pumpkin bars are truly amazing! This is the easiest pumpkin recipe ever - just dump the ingredients in one bowl, bake and cut into squares! 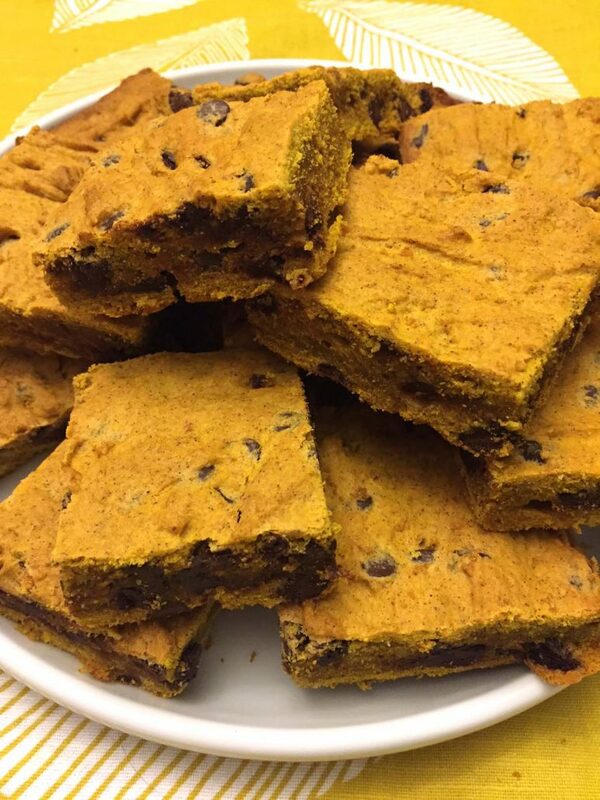 Everyone raves about these pumpkin bars, YUM! Preheat the oven to 350F. Spray a non-stick 9x13 baking dish with a non-stick cooking spray. Put butter and sugar in a large bowl and mix with a mixer until well combined. Add egg and vanilla and mix to combine. 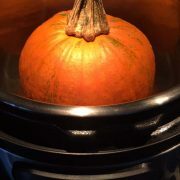 Add the pumpkin puree and mix to combine. Add flour, cinnamon, baking powder and salt and mix until everything is well combined. Add the chocolate chips and mix until they are incorporated into the batter. 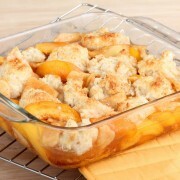 Transfer the batter into the baking dish, spread evenly and smooth the top with the back of a spoon. Put in the oven and bake for 45 minutes. 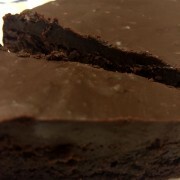 Cool completely, then slice into squares. 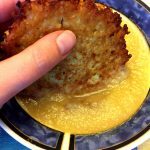 Homemade Potato Pancakes Recipe – Authentic Jewish Latkes, Best Ever!